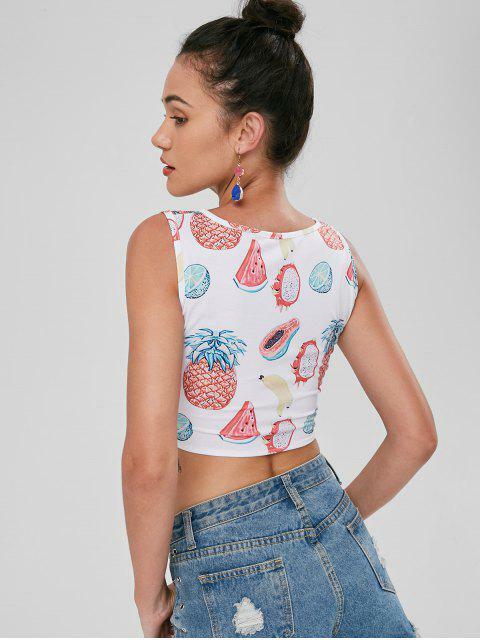 [39% OFF] 2019 Tie Front Fruit Print Crop Top In WHITE | ZAFUL ..
Add a fruity flourish to your wardrobe with our fruits print tank top. 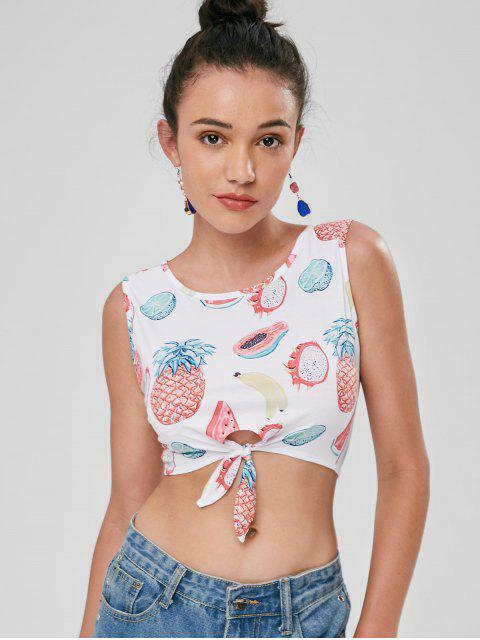 It features vibrant fruit print throughout, a cropped length, and a playful waist tie. It calls for high-waisted jeans to complete the chic look.